New or experienced Care Workers required. 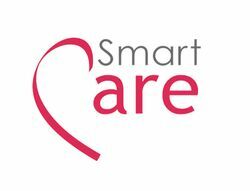 SmartCare is an award-winning family run home care provider committed to delivering the highest quality care for older & disabled people across Surrey & Hampshire. We are proud and passionate in providing peace of mind to our service uses to create independent living and quality of life for as long as possible within their own homes. Our fully trailed, uniformed care staff are handpicked to deliver our promise of the best quality care. We care about our staff and value them. From the moment you start work with us you will feel valued and realise that we work together and support each other. In order to maintain our high levels of care it is important to ensure our staff have the support they need. We have an open door policy all the way to the top so you will always have someone to turn to for help. Why not join an expanding company that cares about you and your future? Hi Catherine, Reach more people by sharing this job with your network. Get updates on latest HealthCare & Medical Jobs in United Kingdom - London.